Mice and rats often take up home in houses and outbuildings and can cause damage to property and electrics and distress to the home owner. 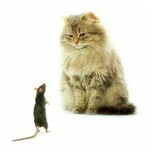 Our expert rodent controllers have tried and tested procedures to remove infestations. The area will be inspected and after carefully considering the options, Rodenticide bait may be laid in all necessary areas in appropriate bait stations. 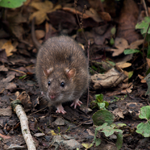 During your Technician call out we will provide advice on the necessary proofing actions to be taken together with providing rodenticide baiting as necessary. The Technician will follow up the initial call out within 10-14 days, replenish baits as necessary, remove, and dispose of any carcasses as required. A third visit will be carried to remove all remaining bait stations. One of our Technicians will carry out residual insecticidal spray treatment to all floors of the house. However, insect activity can be expected to persist, although to a lesser extent, for 2 weeks after the treatment due to hatching pupae which are unaffected by insecticide. The pupae are encouraged to hatch by the simple vibration of someone walking around the property. Children and animals should be kept out of the treated areas until the insecticide, has dried which is dependant on environmental conditions. 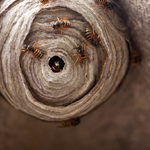 Wasps construct new nests each year mainly underground, in trees or bushes and in buildings. Nests start off the size of golf balls and can sometimes get to be as large as a dustbin and may contain up to 5,000 adult wasps at one time. Nests are usually indicated by flight lines where numerous wasps are seen converging towards or diverging from the nest site i.e. : around the guttering or the eaves of a house. An insecticidal powder is applied around the entrance of the nest, thereby ensuring that any foraging worker wasps that return to the nest will carry the powder into the nest. Alternatively, if the nest can be located the insecticidal powder may be applied directly. If the nest is still active after 7 days, we will return to the infestation (providing it is the same one) and retreat free of charge. An active insect, it nests outside under grass, walls and under paving. It will forage widely in search of food, which is why it comes to enter domestic premises. We will treat all wall floor junctions both inside and outside. The general garden area is not treatable. 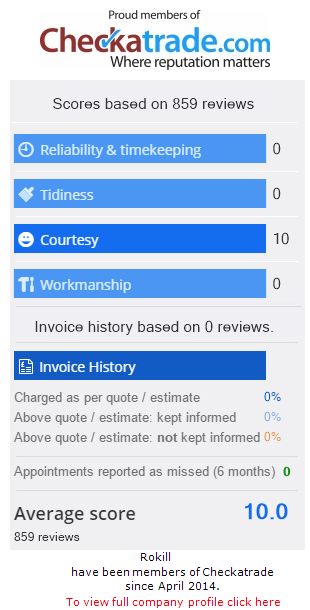 An initial call out and a follow up treatment 10-14 days later can be included within the quoted price. This insect is 8-10mm in length with golden hairs covering the thorax and is similar to a large housefly in size. 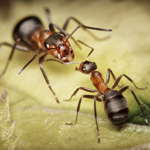 When the insects are present in large numbers they can emit a characteristic sweet and sickly smell. The insect generally congregates around the windows on the south and west elevation of the building, particularly on the upper floors. 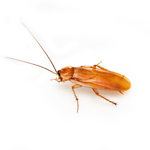 The insects presence is undesirable and their droppings can stain windows. This particular species of fly does not breed indoors. The adult insects enter properties in the autumn to hibernate. The larval stage is a parasite of earthworms. The larva pierce the worm’s skin and develops parasitically inside the body of the earthworm. When fully developed the larva leaves the body of the earthworm and pupates in the soil. Several generations can occur each year. 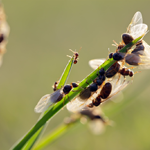 One of the most effective methods of treatment for Cluster Flies is for one of our Technicians to carry out a detailed insecticidal treatment to roof voids where the flies congregate. The insecticide used is perfectly safe, does not normally stain and any odour is short lived. This can only be carried out where bat activity is not present. Harlequin ladybirds started to invade houses in Britain over the last 5 or 6 years, these come in various colours, they tend to be large about 7-8mm in length. They enter buildings and cluster in corners in much the same way as Cluster Flies. Treatment with insecticide is effective. Rokill also provides services to businesses across the South of England. For more information click below.